Accompanying the growing interest in high jewelry watches for women is a commensurate rise in the number of secret watches being introduced. Very much in vogue in the 1930s, 40s and 50s, these watches kept time a secret, by hiding the watch dial behind a decorative hinged or swiveling cover. At one time it was considered inappropriate for a lady to wear a timepiece with formal wear. Thus the secret watch, which looked just like any other stunning gem-studded bracelet when closed, solved the problem. On the more practical side, the cover served as the perfect crystal protector, keeping it pristine and scratch free. While women can wear just about anything they want wherever they want these days, I find the secret watch to be a seductive anachronism whose time has once again come. 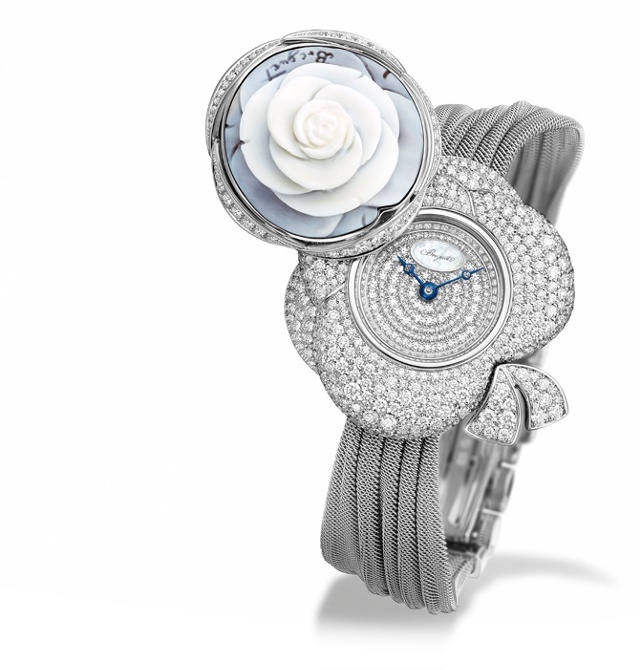 There were more than a few of these high jewelry and thoroughly modern watches introduced at BaselWorld 2014 from a variety of well-known manufacturers, including Chanel, Boucheron, Chopard and Breguet. Following are a few examples. When co-president and artistic director Caroline Scheufele first conceived the Animal World collection in 2010, she turned her attention to all kinds of creatures—insects, reptiles, fish, wild animals and pets—depicted in realistic or whimsical ways. 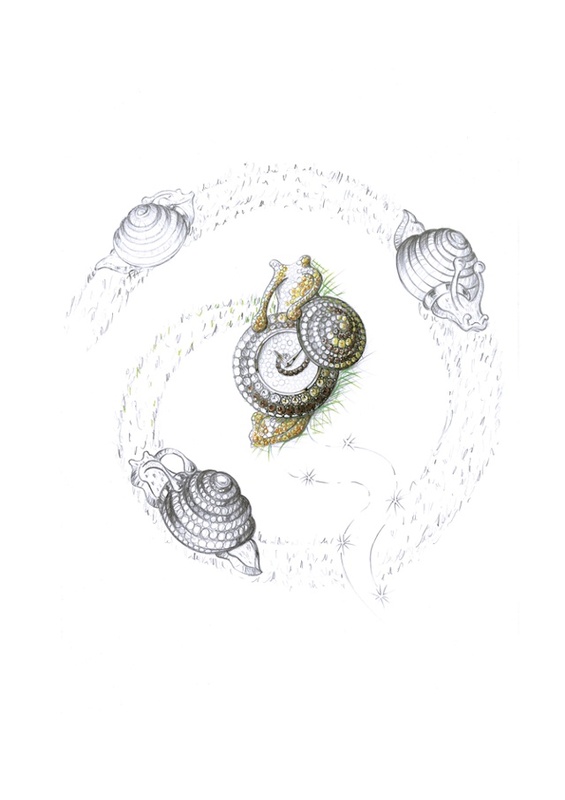 And her choice of a snail for this year’s secret watch is at once a tribute to the animal kingdom as well as an expression of Chopard’s expertise in creating unique jewelry. The watch features a dainty snail in subtle shades of brown and cognac-colored diamonds perched on a leaf set with tsavorites and diamonds. Breguet’s Secret de la Reine, first introduced in 2013, this year is fit on a luxurious golden cloth bracelet recalling the loops of a pleated ribbon. 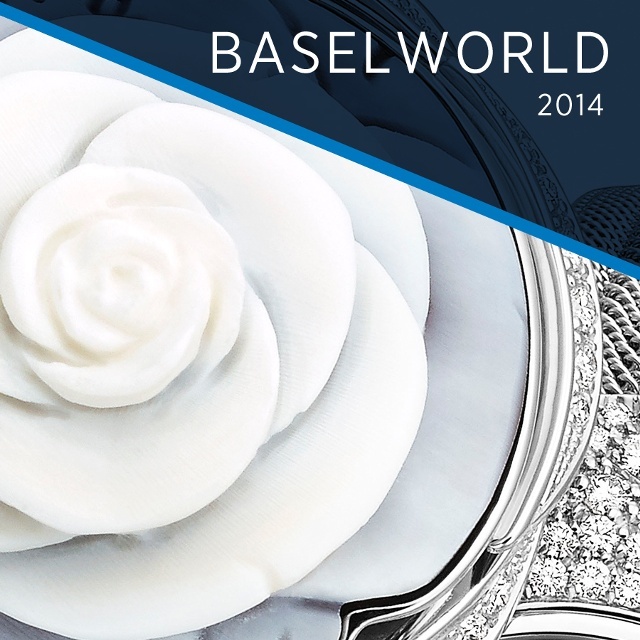 By pressing on the finely carved cameo rose cover, the dial is revealed. The watch is available in rose or white gold, each fitted with the self-winding caliber 586 visible through the see-through case back. The collection includes jewelry designed to complement the watch, comprising a ring, bracelet, earrings, pendant and necklace of Akoya pearls.